RAIN FOR THIRD SEASON IN A ROW! For the third year in a row, the second weekend of the season was at least a partial washout. 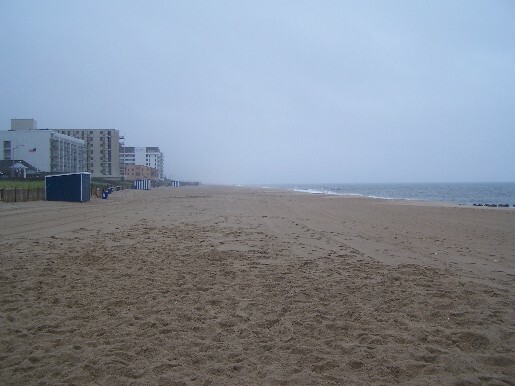 The beach in Rehoboth (below) was almost deserted around 1 p.m. on Sunday, as the remnants of Tropical Storm Barry approached Delaware. On Sunday, the WeatherBug site at the Boardwalk Plaza Hotel recorded wind gusts from the east as high as 37 m.p.h. and about a third of an inch of rain. 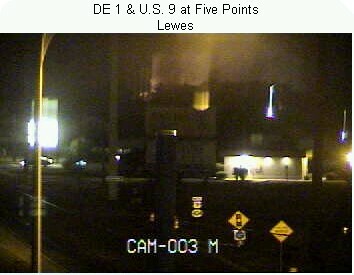 This fire in Belltown, west of Lewes, was one of three that kept eastern Sussex County firefighters busy on Sunday. The fire in the 1.5-story wood-frame structure was reported around 1 a.m. at 17580 Stingey Lane. DelDOT pointed its traffic camera (from Routes 1 and 9) on the incident which was near Ace Hardware. 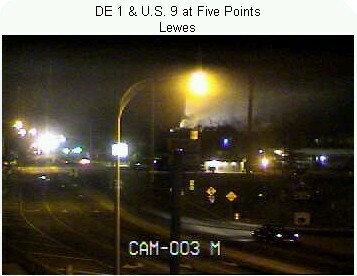 Note the smoke and steam rising from below the lamp post. 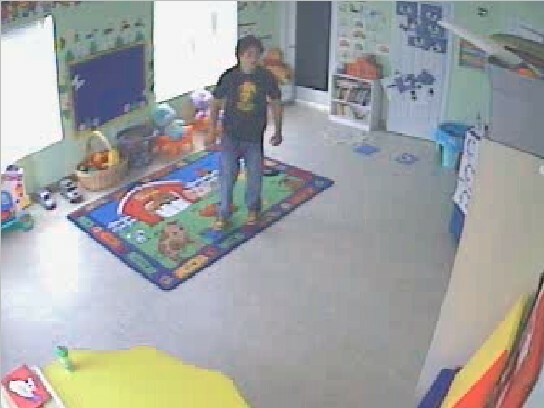 Delaware State Police released three pictures on Friday of a man who broke into the Kids Cottage on Sunday, April 29. 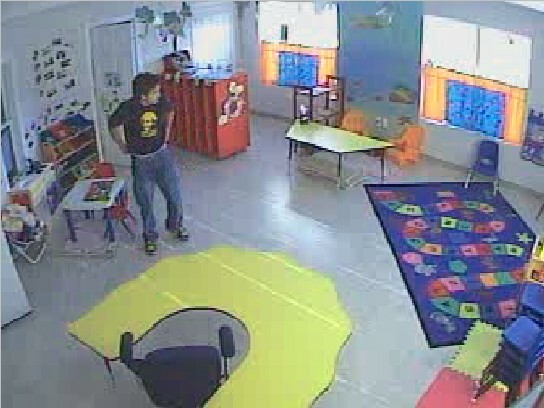 According to a police news release, he slept in the building for a couple hours and is not accused of stealing anything. The childcare center is at 35448 Wolfe Neck Rd outside of Rehoboth. It's almost as American as baseball and apple pie. 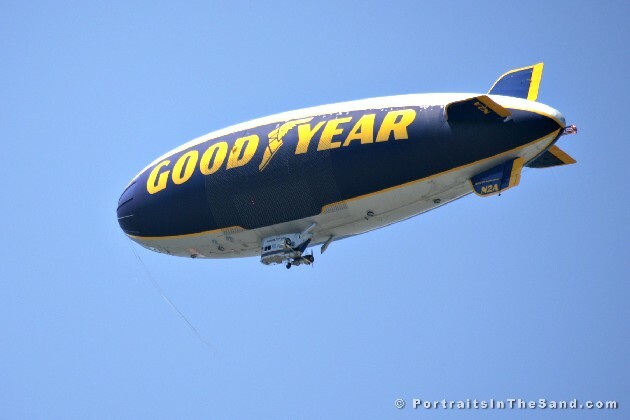 One of the three Goodyear blimps, Spirit of Innovation, made several promotional flights over Sussex County while waiting for this weekend's NASCAR races in Dover. The Goodyear Blimp Web page says the Hindenburg was more than four times longer than this 192-foot blimp. Photo courtesy David Koster, Portraits In The Sand.